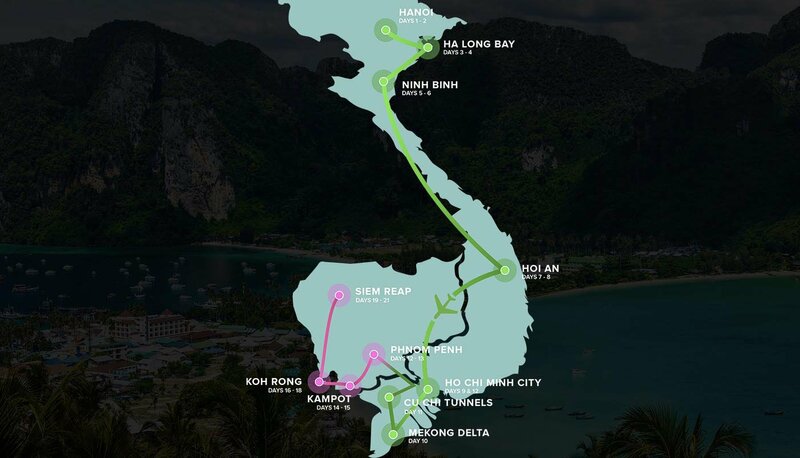 Experience the best of Vietnam and Cambodia on our biggest adventure yet! 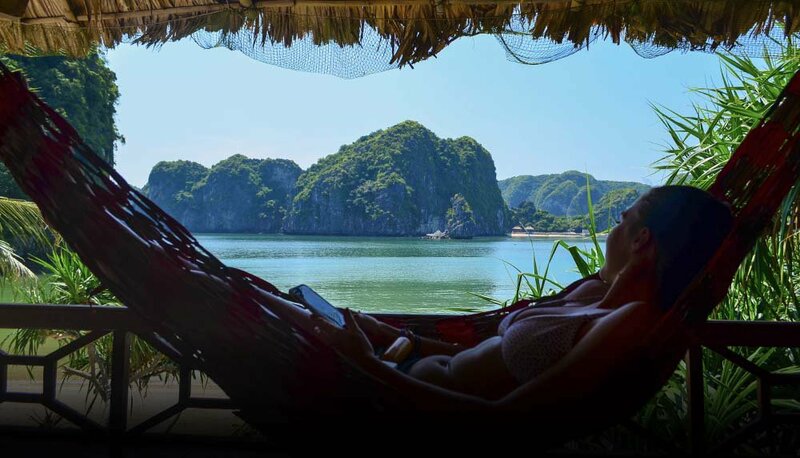 Over 21 incredible days you’ll discover crazy Hanoi, experience the stunning Ha Long Bay, stay on your own private island, go crab fishing with traditional fisherman, soak up fascinating local culture, learn to cook delicious Vietnamese food, snorkel around tropical islands, explore the famous Angkor Wat temple and much more! Explore the incredibly lush green beauty of the Mekong Delta, visit local villages and experience daily life on the Mekong. DAY 12: HEAD TO CAMBODIA! Today we jump on our bus to Cambodia! After our border crossing we’ll arrive in Cambodia’s capital city, Phnom Penh in the afternoon. We'll head out for dinner and drinks afterwards. 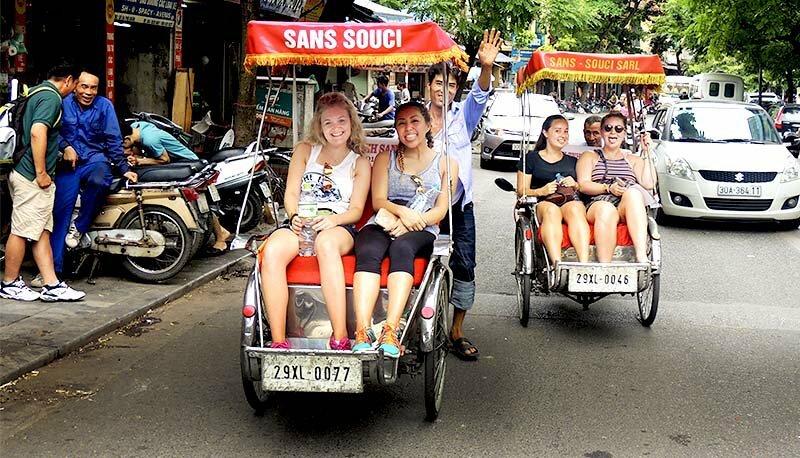 After a tuk tuk tour through Phnom Penh, we’ll make two important stops at the S21 Prison and the original Killing Fields to learn about the dark history of this fascinating country. 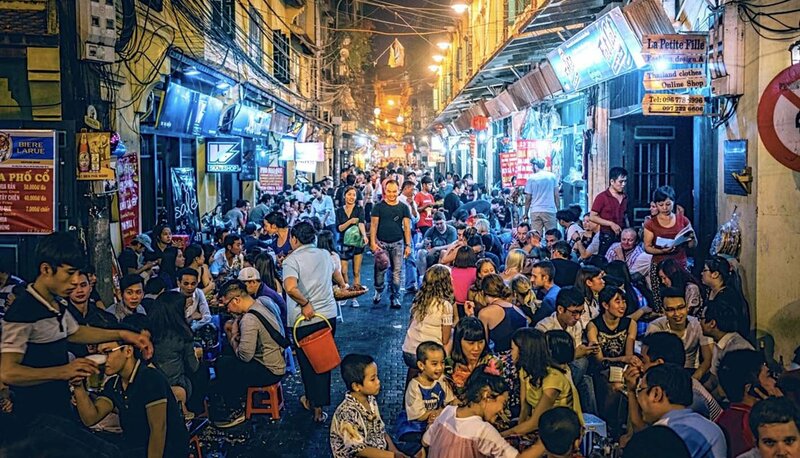 That evening we’ll head for dinner and some drinks at a local street bar, followed by some of Phnom Penh's best nightlife. Today we get off the beaten path and head to the peaceful countryside province of Kampot, a unique mix of dilapidated French colonial buildings, emerald green rice paddy fields and palm tree lined rivers. That afternoon we’ll kayak down the river and soak up the laid back daily life of the locals. We’ll explore the local markets and visit a unique pepper plantation to source ingredients for our traditional Khmer cooking class. 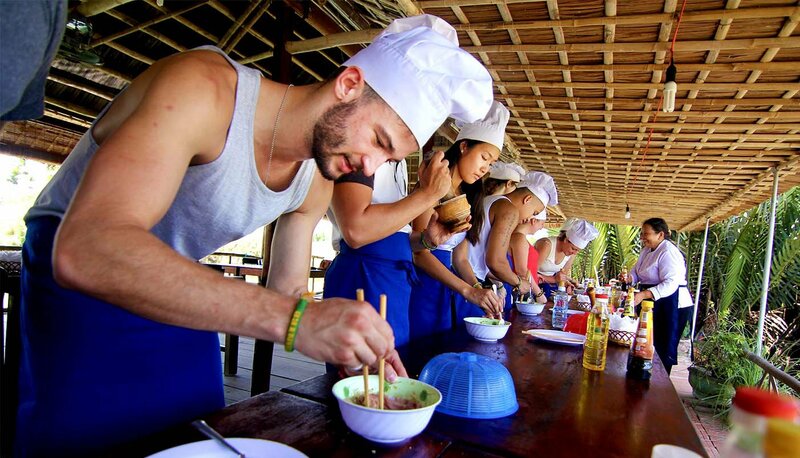 Later that day we’ll learn first hand how to make some of Cambodia’s most authentic and delicious meals before heading out on a beautiful sunset boat ride. We’ll take a bus and fast ferry to the stunning tropical island of Koh Rong and check into our traditional Khmer style beach bungalows. After a few hours of chill time we’ll head out for dinner and a party on the beach! Today a private long tail boat will take us to some of the best snorkel spots around the islands. 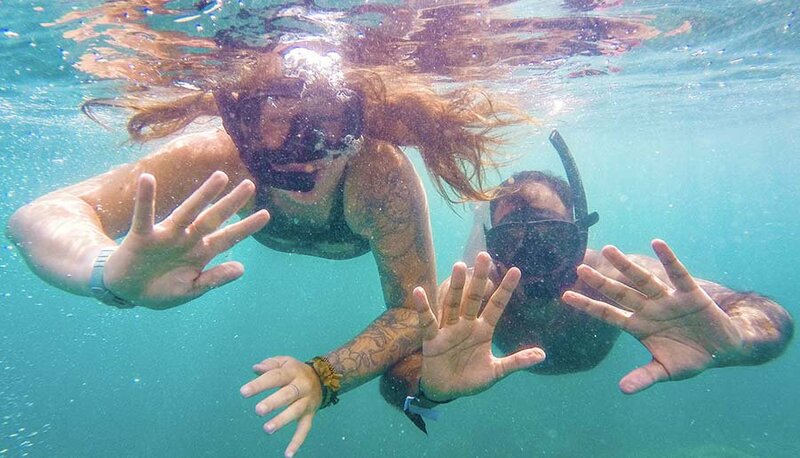 We’ll chill out on beautiful white sandy beaches, swim in crystal clear water and top up our tans. We’ll then soak up a stunning sunset as we cruise back to our accommodation. 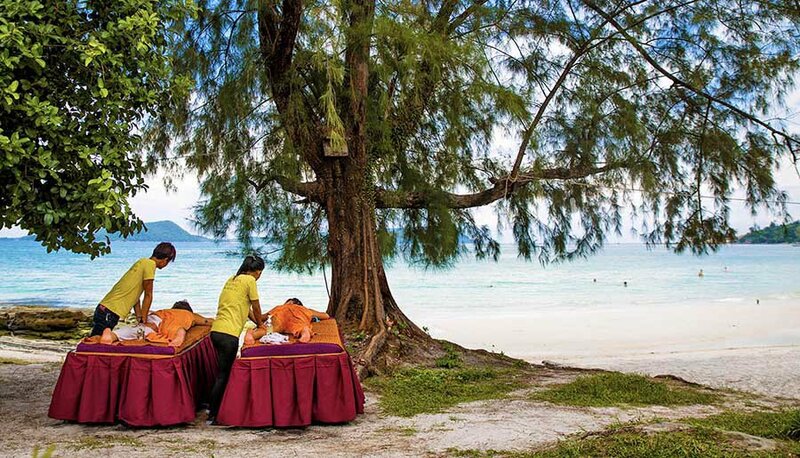 Enjoy a traditional Khmer massage on the beach in the morning before we take the fast ferry back to the mainland. We’ll have dinner in Sihanoukville before our overnight bus to Siem Reap. 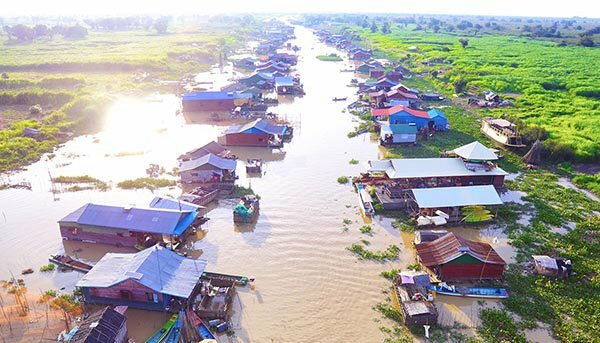 Today we’ll venture through some of the rural and floating villages outside Siem Reap and learn how the locals live. We’ll travel by tuk tuk to the famous and mind-blowing Angkor Wat Temple! 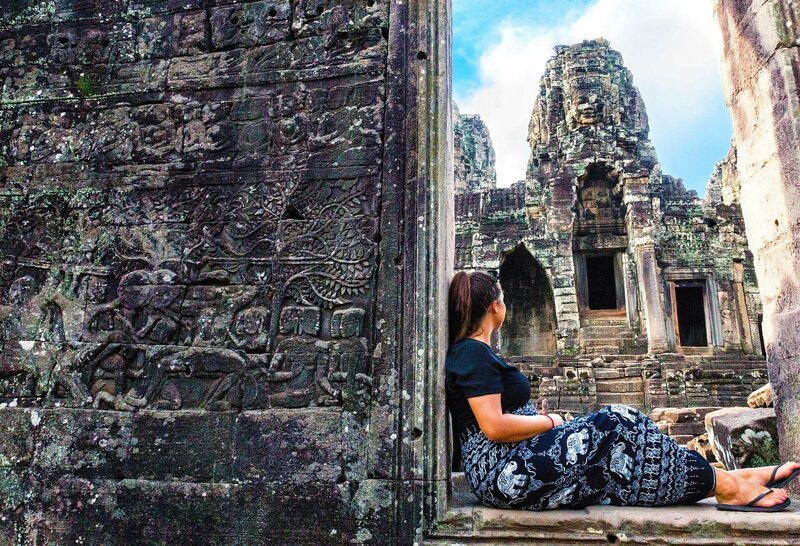 A local guide will join us to explain the fascinating history of the worlds largest temple complex, including Ta Prohm - where Tomb Raider was filmed. A true once in a lifetime experience! 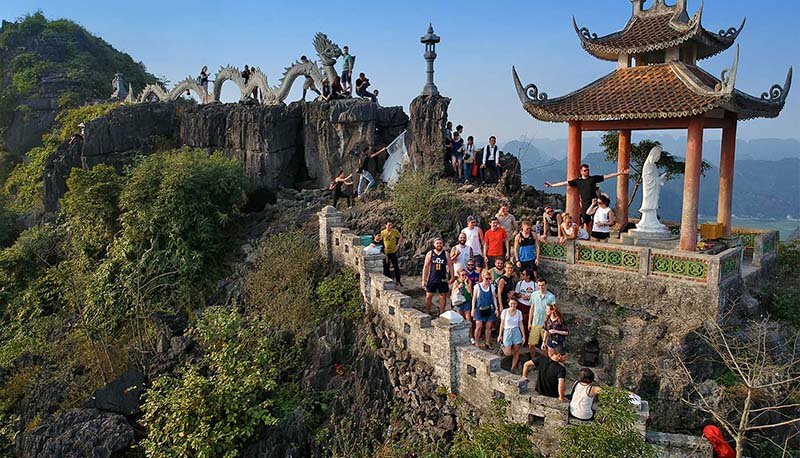 Your amazing 21 day Vietnam and Cambodia tour finishes today in Siem Reap. We’ll help plan and organise your onward travel. 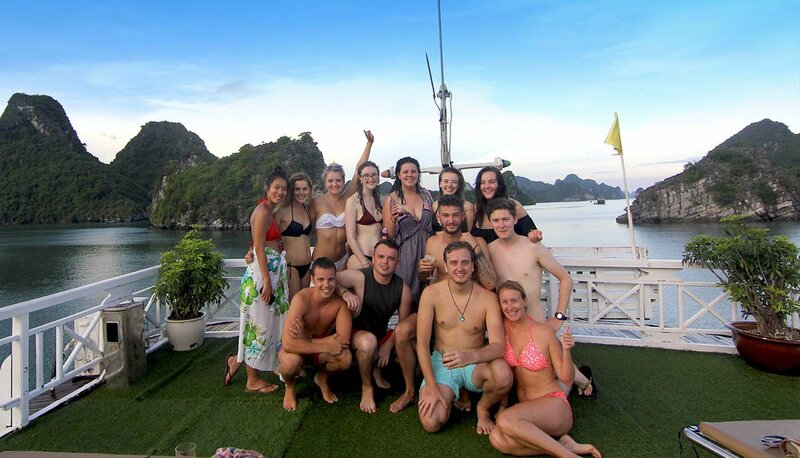 To download detailed notes on our awesome Vietnam + Cambodia Intro trip click here. Check out our most recent reviews! Vietnam + Cambodia Intro has an average rating of 5.0/5 based on 34 customer reviews.